Home › Iranian Nuclear Crisis › How Weird is Diplomacy With Iran? It’s no news to any of our readers that the clock is ticking on the possibility of a nuclear deal between Iran and the P5+1. 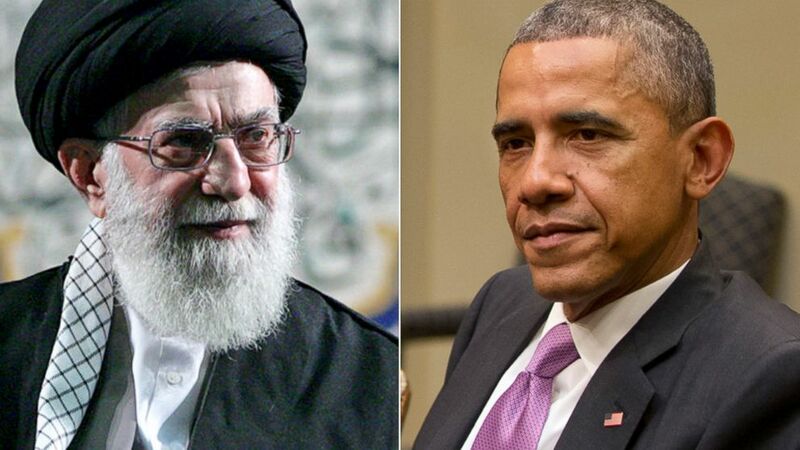 With weeks to go before the deadline, world leaders aren’t just sitting on their laurels: US President Barack Obama, for example, reportedly tried to help things along by sending a fourth secret letter to Supreme Leader Ayatollah Ali Khamenei. According to The Wall Street Journal, Obama’s “dear Ayatollah” missive focused mostly on the ISIS crisis, appealing to the top-ranking cleric to support the American aerial campaign against the jihadist organization. Strange bedfellows indeed, but will it work? If you ask The Telegraph’s David Blair, it just might: the timing of Obama’s letter, he said, is highly significant, communicating to Khamenei that the US wants to cooperate with Iran’s regime, not overthrow it – words of encouragement, if you will. But while New York Magazine also praised Obama for sending the “crusty septuagenarian leader” some “good vibes,” others doubted the effectiveness of Obama’s now not-so-secret – but as yet unconfirmed – tactic, as well as his choice of a pen pal. Over at Vox, Zack Beauchamp opined that the “risky” move could backfire, corroding both Washington’s anti-ISIS strategy and its efforts on Iran by “taking some level of Iranian involvement in Iraq as a given.” And the National Review’s Tom Rogan, in an op-ed titled “Too Many Carrots,” warned the letter was the “diplomatic equivalent of telling an ill-reputed used-car salesman” that you are “desperate to buy today” instead of insisting on your requirements. Slate, meanwhile, summed up this latest turn in US-Iranian relations in three words: “diplomacy is weird.” Iran, however, doesn’t seem to think so: it’s pretty clear on the fact that it wants results, and will “rapidly take action” if the West doesn’t help it achieve them.